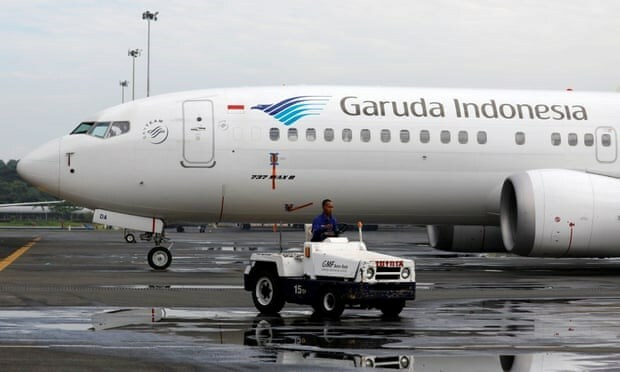 Jakarta (VNA) – Indonesia’s national flag carrier Garuda on March 22 announced that it is moving to cancel a 4.9 billion USD order for 50 Boeing 737 MAX 8 jets after this type of plane was involved in two deadly crashes in less than five months. Garuda spokesperson Ikhsan Rosan said that the airline has sent a letter to Boeing, requesting the order to be cancelled. The reason is that Garuda passengers in Indonesia have lost trust and no longer have the confidence to fly with this plane, he explained, adding that the airline is awaiting a response from the US aircraft manufacturers. Garuda had already received one of the 737 MAX 8 planes, part of a 50-plane order in 2014. The airline is also talking to Boeing about whether or not to return the plane it has received. The carrier had so far paid Boeing about 26 million USD, while its leader said that the airline would consider switching to a new version of the single-aisle jet. This month, Indonesia’s Lion Air said was postponing taking delivery of four new Boeing 737 Max 8 jets after an Ethiopian Airlines plane of the same model crashed minutes into a flight to Nairobi, killing all 157 people on board.